With a royal origin, Hoarfrost Blade was born in the Northland, and grew up accompanied by snow and ice. The seven-year-old girl was the sole survivor when a gang of well-equipped army attacked the palace and slaughtered all members of the royal family. Having witnessed the tragedy of her family, she went to Snow Queen for asylum and swore allegiance to her. The snow queen promised to help her find her foe. 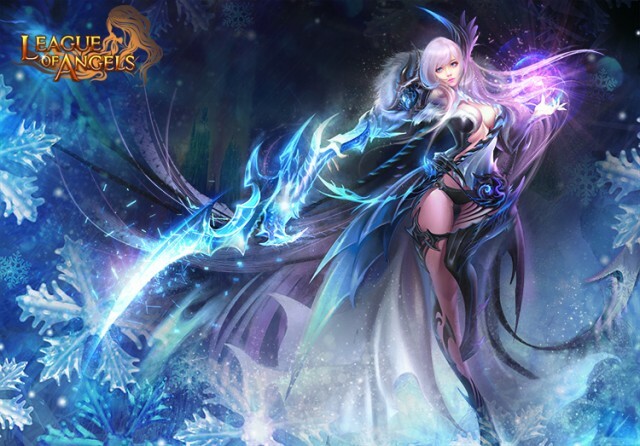 For the past years, raised by snow queen, Hoarfrost Blade began to learn frost skill. It’s predicted that the Hoarfrost with her unique talent will become a most strong mage. Battle Skill: Creates an illusion of hero to inherit the original hero's stats and receive DMG equal to 310% DMG original hero received. Regular Skill: Consumes 25 Rage to cast. Deals (150% Basic ATK + 10000) to 3 random enemies, absorbs 14 Rage each attack and distributes it evenly between back row heroes. Each time both the illusion and hero cast skills it can increase their own ATK and DEF by 2%(stacks up to 5 times). The fewer enemy heroes, the higher the damage inflicted. Hero is immune to Chaos, Stun and Silence. As we continue to develop and improve League of Angels, new updates may slightly change the appearance or effects of systems and classes in-game. Where any discrepancy between game and guide occurs, in-game data shall take precedence. If you discover any errors, bugs or inconsistencies please contact us immediately and we will fix it during the next update.